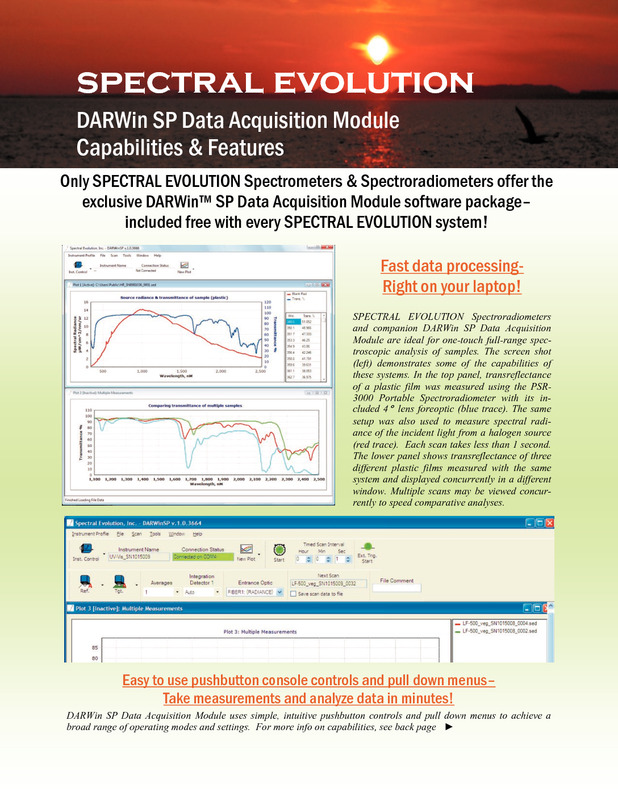 Every SPECTRAL EVOLUTION Spectrometer and Spectroradiometer is supplied with our exclusive DARWin SP Data Acquisition software – a full-featured, menu driven program for easy data manipulation and analysis of multiple UV-VIS-NIR spectra. The DARWin SP module features one-touch operation and easy, intuitive menus for fast, effortless operation. 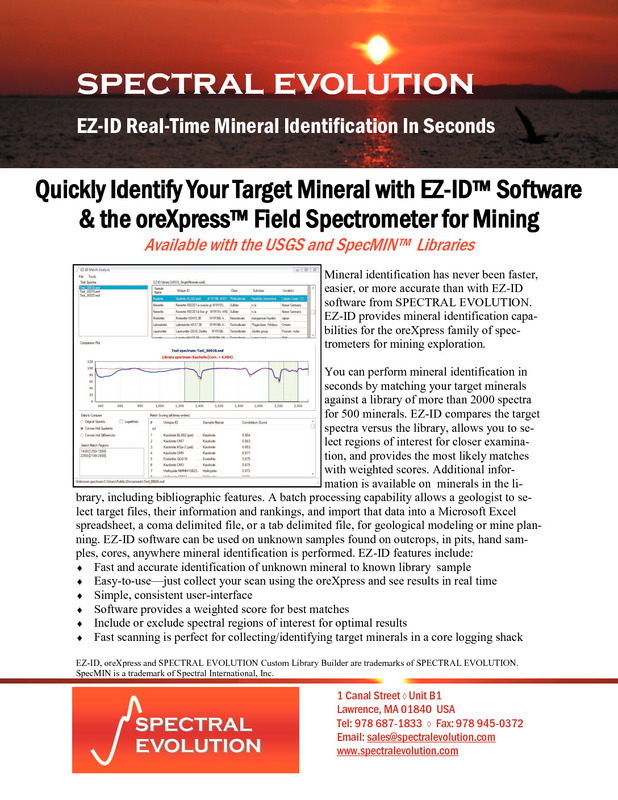 With EZ-ID, the mineral identification capabilities are built into the spectrometer, so you have instant access in the field. The results include more accurate identification, faster identification and the ability to take more sample scans in less time. 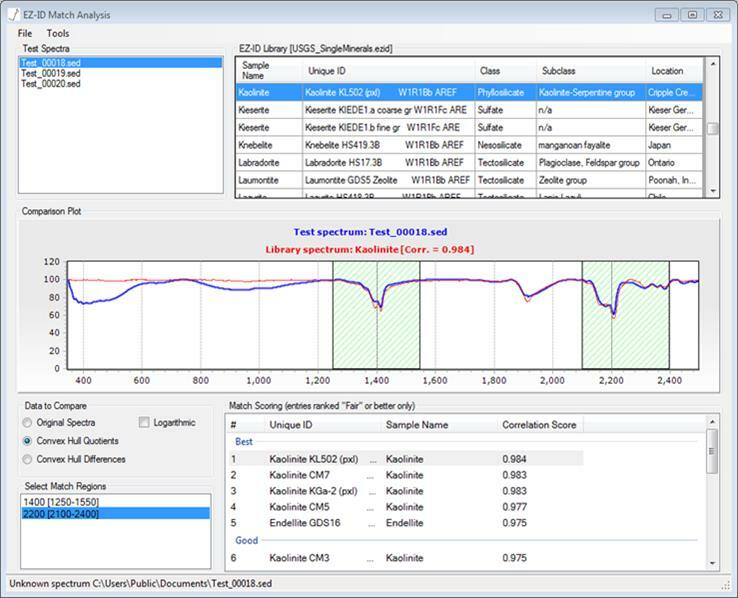 Because DARWin saves scan data in an ASCII format it is ready-to-use with a number of popular 3rd party analysis software, including SpecMIN, GRAMS, and The Spectral Geologist (TSG). 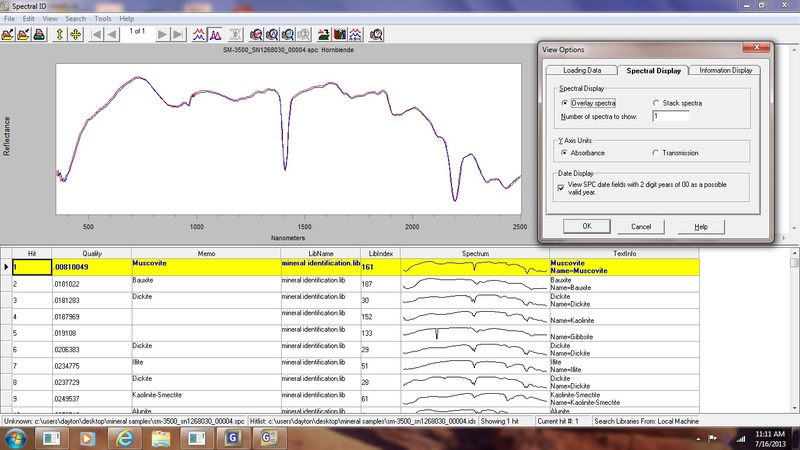 SpecMIN is a mineral identification system that includes an extensive library of reference spectra for minerals, wavelength search/match tables, physical properties of each species in the database, and literature references for the infrared active mineral phases. SpecMIN is available with SPECTRAL EVOLUTION’S EZ-ID. 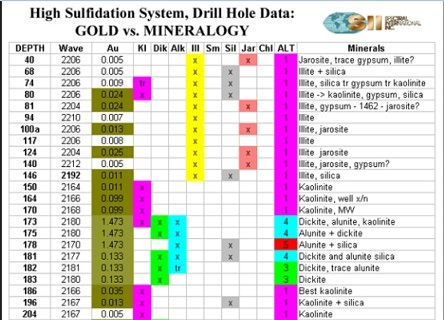 Feature analysis tables are available for individual species and diagnostic absorption features for each mineral selected. There is also an automated search/match feature for identification help. SpecMIN is a product of Spectral International, Inc.
GRAMS software is a product of Thermo Scientific. For more information on GRAMS, click here. For more information on TSG, click here. 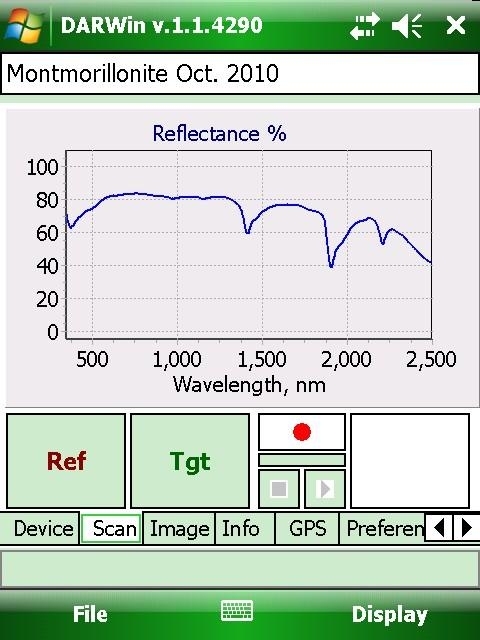 The oreXpress spectrometer and EZ-ID software are trademarks of Spectral Evolution, Inc. For added convenience, SPECTRAL EVOLUTION Spectrometers and Spectroradiometers may be custom ordered with laptop computers preloaded with DARWin SP Data Acquisition Modules. Depending upon your unique situation, we can put together a specialized computer package that takes you application and portability needs into account. Contact us today for additional information. SPECTRAL EVOLUTION also offers a Windows Mobile 6 version of its DARWin SP Data Acquisition Module for use with fully rugged handheld PDA devices. This program allows every SPECTRAL EVOLUTION Bluetooth-enabled spectrometer or spectroradiometer to be controlled via a handheld PDA. Contact us today for additional information. 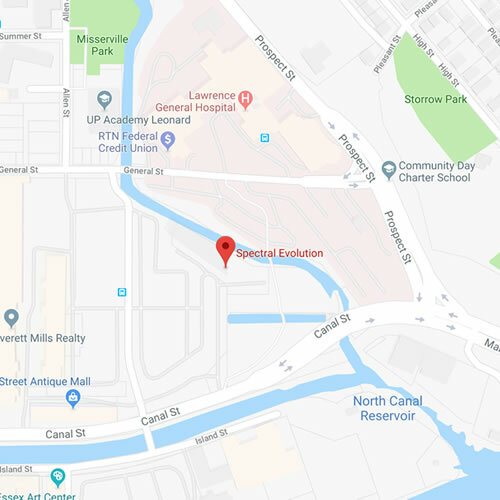 True handheld convenience for field work or remote sensing!- SPECTRAL EVOLUTION offers a PDA compatible version of its DARWin SP Data Acquisition Package that permits fingertip control of mobile data and can be used to trigger data collection remotely. SPECTRAL EVOLUTION offers the GETAC PS336 PDA preloaded with all necessary software to run all Bluetooth enabled SPECTRAL EVOLUTION Spectrometers. The GETAC can be used to tag spectra with GPS readings, photos (with its built-in digital camera) and voice notes with its built in microphone. 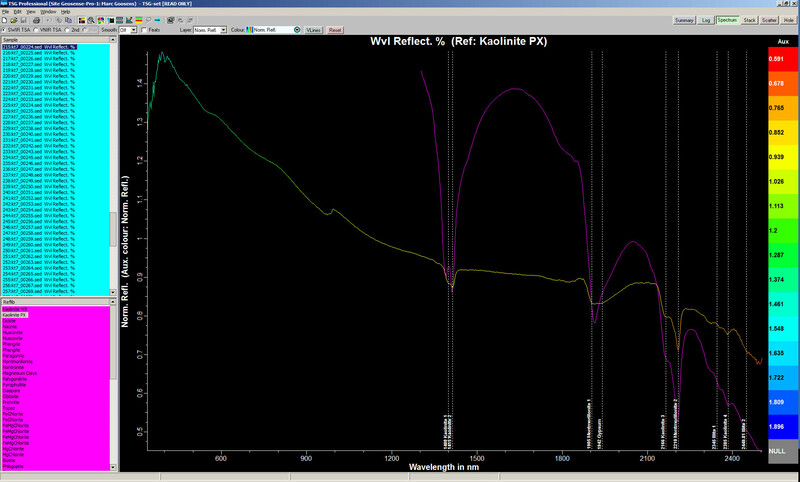 In this image, the PS336 was used to take a scan of montmorillonite. Contact us for information on additional drivers (e.g., Labview) that are available for specific instrument models.